As a tribe, we gather in unusual locations. Our meeting places, where stories are shared and surf culture is perpetuated are not, I would argue, in the ocean – that is where we surf. In the water our conversations are often stilted and broken, interrupted by the catching of waves or made difficult by wind or distance. The ocean is where the stories occur and where legends are made, but it is often the parking lot that is the incubator of our culture. Almost anywhere where you can surf there is space nearby to park a car, whether it’s on the roadside, in a large tarmac lot, on a patch of dirt, or in a clearing in the sand dunes or forest. Sometimes where everybody parks is a walk away from the waves, but quite often the spot where you pull up, check the waves and get changed has a pretty good view of the surf. It’s where, in mid-winter, surfers hunch over their steering wheels with the windscreen wipers squeaking across the glass trying to keep warm whilst drumming up the motivation to pull on a wetsuit. It’s where we talk about the best sand banks and surf forecasts through rolled down windows, where we compliment each other on sick waves and look back at the sea whilst toweling off in the hope that it’s getting worse, not better, and where we take phone-photos to show our friends what they missed today. Most photos of waves aren’t taken by water-photographers swimming with a housing or stood on the sand with a zoom lens, they’re taken by surfers stood in the parking lot; how many surfers actually walk back down the beach to take a photo? 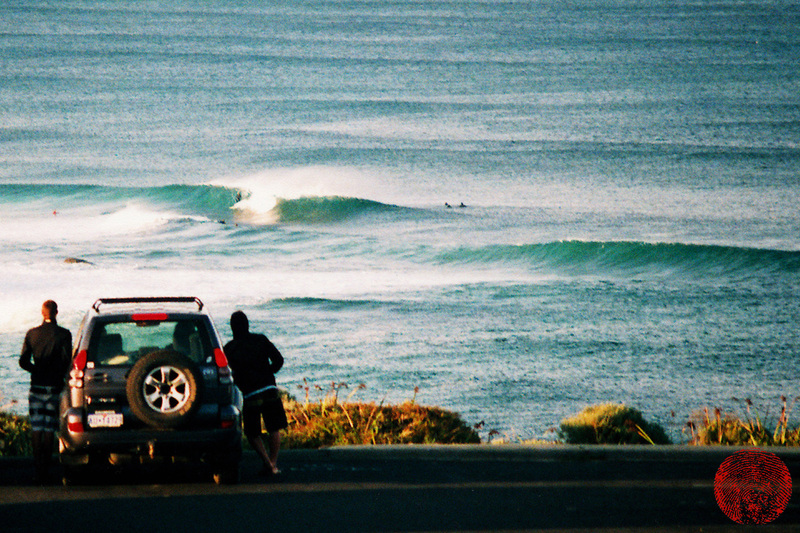 It’s in car parks where surfers stand with a coffee in the morning evaluating how accurate the forecast was and rescheduling their day around planned surfs, and where surfers lean on bonnets or sit on tailgates in the evening sharing beers and talking story. It’s in car parks where wax is gifted, where the secret of where car keys are stashed is guarded, and sometimes it’s where water-borne scores are settled. The ocean is where we ride waves, and this is a personal and solo pursuit. The beach is, more often than not, just the thin band of sand that we run across to get to the water. For so many though, the car par is where we congregate. It’s where we are “surfers”, not just a surfer.